Salt Water or Chlorine; Which is Right for You? 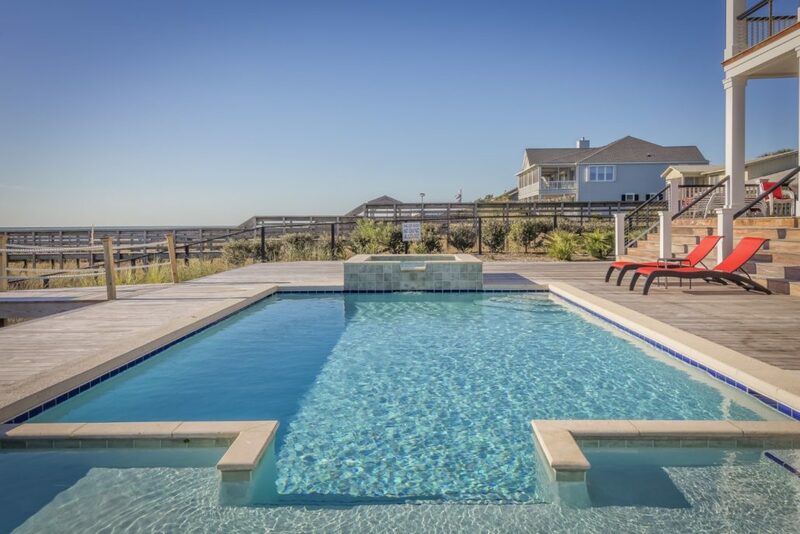 Salt water and chlorine are two types of pools that a homeowner can get. What one they choose can be based on many things. When you’re thinking about which is right for you, make sure to consider these points to make the best decision on which to go with. Salt water is a big choice in many places down south when choosing a way to clean the inside of the pool. With the right cleaning agent, such as salt, you may find that the pool is refreshing and crystal clear. This method however, can be quite expensive to go with since you must get a generator to keep up on the chlorine and the salt that is needed to keep the water in the pool clean. Salt water pools are also easier on the skin and hair because they do not dry them out as much as chlorine would. You do not have to run the generator throughout the day, all day, every day so it is important to keep this in mind when doing a cost comparison. Chlorine has been a popular method of cleaning pools for over 50 years. It is not only easy to maintain but it stabilizes the water levels easily. It can also be used for all types of pools, which is also an ideal way to choose since you don’t have to have a specific pool for chlorine to work. However, there is a bit of work that is involved with chlorine which some might not want to do. This includes refilling the chlorine every few weeks, making sure the levels are stabilized and using the stabilizer by draining and then refilling the pool. The choice on which is right for you depends on how you feel about which type of pool to go with. You want to make sure that you’re making the right choice based on the type of pool you have and which you feel is the best choice that would benefit you the most. Fill out our form below or give us a call here at Contractors Today to find out more regarding the swimming pool contractors currently working in your area!